By treating periodontal disease properly, a significant root cause of these conditions is eliminated. 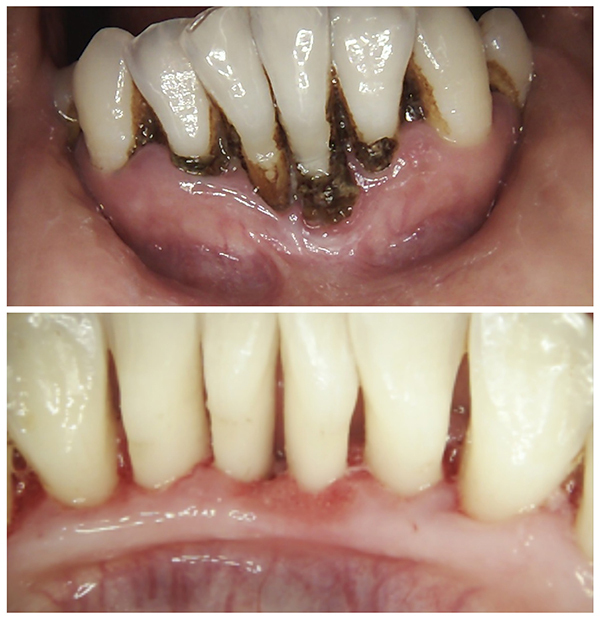 Before and After treatment of periodontal gum disease. Note how our patient’s gum tissue returned to a healthy pink color after treatment and hugs the teeth. It’s important to treat these symptoms early before they progress to more serious and possibly life-threatening conditions. 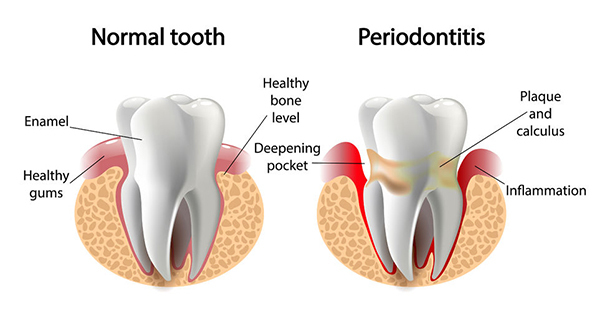 Periodontal disease is treated by eliminating bacteria in the mouth and preventing it from growing. The patient will undergo a program that allows the mouth and body to heal, which is achieved with medication, oral hygiene, diet, lifestyle changes, and rest.